Who is Phil Gordon? 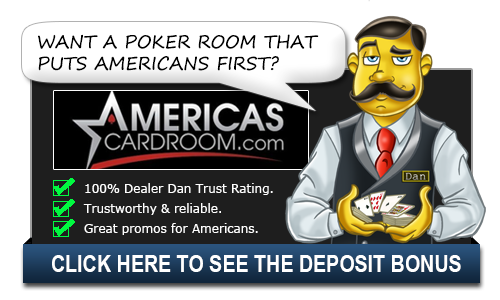 | Phil Gordon Bio - Casino Answers! Phil Gordon first played at the World Series of Poker (WSOP) Main Event in 2001. He finished 4th, winning $400,000. In 2002, he made two more WSOP final tables, finishing 6th in the $2,000 Pot Limit hold ’em event and 3rd in the $2,500 Omaha Hi/Lo Split event. Gordon finished 3rd in the $1,500 No Limit Texas hold ’em Shootout event at the 2005 WSOP. He has yet to win a bracelet. To date, Gordon has won $660,555 at the World Series of Poker. Gordon was a commentator on Celebrity Poker Showdown for seven seasons, he provided commentary for the WSOP Championship Event for Binion’s live Internet broadcast and provided commentary for ESPN’s live broadcast of the final table of the World Series of Poker main event championship in both 2006 and 2007. Gordon was also the lead broadcaster for the ESPN series, The Pro-Am Poker Equalizer. Phil has written three books on poker, including Poker: The Real Deal, Phil Gordon’s Little Green Book: Lessons and Teachings in No Limit Hold ’em, and Phil Gordon’s Little Blue Book: More Lessons and Hand Analysis in No Limit Hold ’em. Gordon has also written for poker magazines, and writes a regular column and hosts a podcast, The Poker Edge, for ESPN.com. Phil Gordon lives in Newport, Washington with his family, but that is a later in life move. He actually grew up in Stone Mountain, Georgia and was an outstanding student in high school. He began taking classes at Georgia Tech at the age of 15. He would end up dropping out of school after the 11th grade when he received the National Merit Scholarship, attending Georgia Tech University full-time from then on out. He would graduate with a degree in computer science. Eventually, Gordon found his way to Netsys technologies as their first employee. He’d stay there until 1996 when Cisco Systems bought Netsys, thus making Phil a millionaire. From there, he’d retire and dedicated his life to his two loves: travel and poker. After playing professionally for a number of years, Gordon would return to his computer science background as he was one of the people who , elped design the software that would become Full Tilt Poker. He was a member of Team Full Tilt for years afterwards. Phil also has two interests that aren’t poker related that are rather competitive. He runs the World Series of Rock Paper Scissors tournament which takes place around the time of the World Series of Poker. The winner of the tournament gets entry into the WSOP. The tournament is a fundraiser for charity, namely Gordon’s charity: Bad Beats on Cancer. That charity runs multiple events and has raised millions of dollars towards cancer research over the years. He formerly sat on the board of directors of the Prevent Cancer Foundation. He’s also involved in the Libertarian National Congressional Committee where he serves on the board. The groups aim is to create a three party system as opposed to the two. He’s also known as a tournament bridge payer. He is the winner of two North American Bridge Championships.